Don't forget our bi-monthly challenge!!! You have the opportunity to win a gift certificate to the Dies R Us shop. Just go to our Dies R Us Challenge blog and see what our next theme will be, make a card or paper project, up load it to our gallery and who knows, you might be the next winner! Love what you've done here Robin! 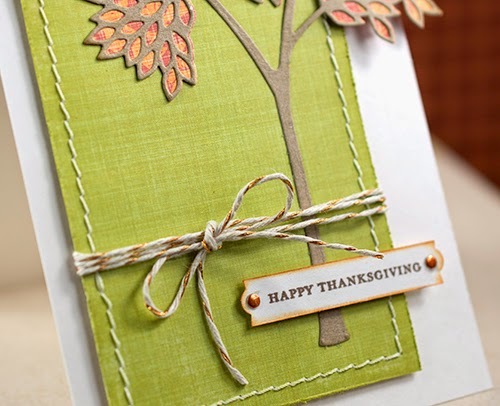 Really like how you've created the tree ... the twine & stitching are perfect accents! 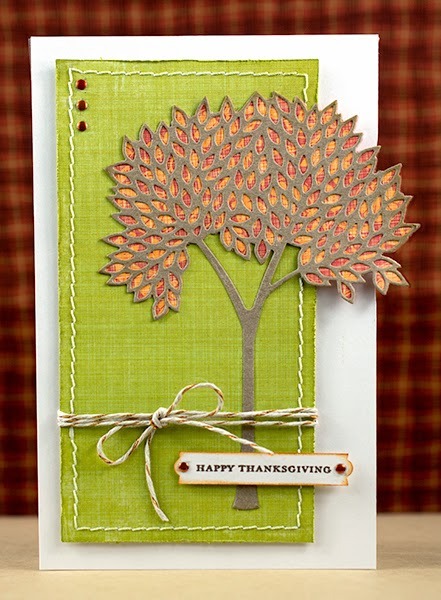 Great Fall card! Wow! Adorable card! I absolutely LOVE that tree! Another die for my growing wish list! Love that stitching too!